Twin Pines gets the job done efficiently and safely. We have invested over $1 million in equipment alone to ensure that we have the means to tackle any job and complete it the right way. All of our equipment is operated by experienced team members who have had extensive training. In the rare case we ever have an accident, we are more than properly insured with worker's compensation, liability, and auto insurance, to protect our employees and your investment, which gives you peace of mind. Residential And Commercial : Twin Pines offers a complete range of services to both Residential and Commercial clients. Visit our Services Page, or browse through our Photo Gallery to get an idea of some of the services we offer. We also work on specialized projects, so please feel free to contact us if you need a service not listed on these pages. 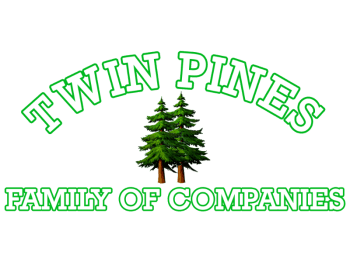 Download this exclusive Tree Service Coupon from Twin Pines Landscaping! If you are looking for more information on the Services we offer, feel free to look over the Welcome Packet we send to our new customers! Check out Twin Pines' seasonal watering guide to help you stay on top of your lawn and garden needs!